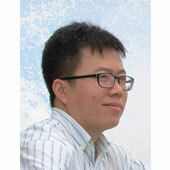 Dr. Fuxi Wen is a Marie Skłodowska-Curie Fellow (MSCA-IF) in the Communication Systems Group, Department of Electrical Engineering. He is involved in project “MassLOC: Massive MIMO Localization for 5G Networks”, which is funded by European Union’s Horizon 2020 research and innovation programme. His research interests are robust parameter estimation, signal processing for cyber security and Vehicle-to-Everything (V2X) based automotive localization for 5G networks. There might be more projects where Fuxi Wen participates, but you have to be logged in as a Chalmers employee to see them.